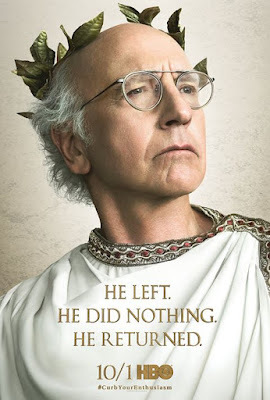 HBO officially announced that the 9th Season of Curb You Enthusiasm will return October 1st! We are so excited that Curb is finally coming back! Watch the new teaser and read HBO's press release below. The Emmy®-winning comedy series CURB YOUR ENTHUSIASM, starring Larry David, returns for its ten-episode ninth season SUNDAY, OCT. 1 (10:00-10:30 p.m. ET/PT), on HBO. The show brings back cast favorites Jeff Garlin, Susie Essman and JB Smoove, among many others. Larry David created and executive produces the series with Jeff Garlin and Jeff Schaffer.